Nellie Ball is a popularized offensive strategy in basketball developed by NBA head coach Don "Nellie" Nelson. It is a fast-paced run-and-gun offense relying on smaller, more athletic players who can create mismatches by outrunning their opponents. A true center is usually not needed to run this type of offense. A large volume of three-point attempts is generally a staple of Nellie Ball as well. This offense is most effective against teams that do not have the athleticism or shooting ability to keep up with the fast pace. Nelson first became known for his unorthodox, innovative style of basketball as head coach of the Milwaukee Bucks. As he was developing Nellie Ball, he introduced the concept of the point forward, a tactic wherein small forwards would play the role of point guard and direct his offense. First, he used 6′7″ Marques Johnson as a point forward. Later, he would use 6′5″ Paul Pressey in the same role. This enabled shooting guards Sidney Moncrief and either Craig Hodges or Ricky Pierce to be on the floor at the same time despite the absence of a pure point guard. To further create mismatches, Nelson would place a center who was not a threat on offense, such as Alton Lister or Randy Breuer, at mid-court while running a play. This forced a shot-blocking center out of the paint, making him less of a threat on defense. Nelson's high-scoring Bucks earned multiple Central Division titles, and were a perennial playoff contender throughout his time as Milwaukee's coach. Nelson continued to perfect Nellie Ball in three later coaching stops. Nelson would again utilize Nellie Ball with the Golden State Warriors, where his offense was centered on the high-scoring trio of NBA All-Stars Tim Hardaway, Mitch Richmond, and Chris Mullin, collectively known as "Run TMC" (the initials of the players' first names and a play on the name of the popular rap group Run DMC). Nelson used an unconventional lineup that featured three guards (Richmond, Hardaway and Šarūnas Marčiulionis) and two forwards (Mullin and the 6′8″ Rod Higgins at center). This incarnation of Nellie Ball led the Warriors to many winning seasons and postseason berths despite an undersized lineup. While coaching the Dallas Mavericks, Nelson employed Nellie Ball once again, utilizing the All-Star trio of Steve Nash, Michael Finley, and Dirk Nowitzki. Nelson often would play Nowitzki, a natural power forward, at the center position, placing him at the three-point line in order to stretch out the defense. Nelson's trio of star players spearheaded the Mavericks' transformation into a promising young franchise capable of reaching the NBA Playoffs. Nelson's latest success with Nellie Ball came with his second stint as head coach of Golden State, with a lineup consisting of Baron Davis and Jason Richardson, who were both larger-sized guards, and smaller forwards and centers such as Stephen Jackson and Al Harrington. In the 2007 NBA Playoffs, his 8th-seeded Warriors met his former team, the 1st-seeded Dallas Mavericks. The Mavericks had posted a franchise best 67–15 record, which was also good for the best record in the NBA in 2007. Dirk Nowitzki, in particular, enjoyed a memorable season of his own, winning the NBA MVP Award that year. Despite these obstacles, Nelson's Warriors executed one of the greatest upsets in NBA history by defeating the Mavericks in six games. Then-Mavericks head coach Avery Johnson, Nelson's protégé and successor in Dallas, had abandoned Nellie Ball in favor of a more traditional offensive lineup, which had reached the 2006 NBA Finals. Nellie Ball has a fair share of critics, who claim that the strategy is fatally flawed. Many basketball critics contend that no team can ever win a championship playing Nellie Ball, mainly because the strategy puts such an emphasis on offense and scoring that a team playing Nellie Ball will not have the energy to play defense. Nellie Ball also tends to rely very little on basketball's defensive fundamentals. In addition, these critics argue that Nelson's offense, while innovative and exciting, is only successful to a point. Skeptics contend that his offense is unable to disguise deficiencies, such as the inability of an undersized power forward or center in Nelson's system to dominate in terms of defense and rebounding. 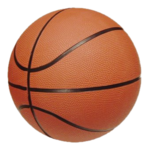 Plus, they claim that it is even more difficult to play Nellie Ball when guards are on a cold streak in terms of shooting the ball, making it difficult for teams running the offense to win basketball games. Nowhere is this more evident than during playoff time, where teams tend to get more serious and play tougher defense. Of note, teams have adopted a variation of Nellie Ball, with point forwards orchestrating some of the most prolific offenses in the current NBA. To his credit, Don Nelson has amassed a huge number of victories by running his unique, fast-paced brand of offense. He has won the NBA Coach of the Year Award three times: in 1983 and 1985 with the Bucks, and in 1992 with the Warriors. Nelson is also the NBA's all-time winningest coach with 1,335 regular season victories. In 2012, Nelson earned induction into the Basketball Hall of Fame. But detractors could still point out that while his coaching record is somewhat impressive, Nelson has never coached a team to the NBA Finals, let alone won an NBA title. On more than one occasion, his teams were eliminated by superior opponents. For instance, as coach of the Bucks in the 1980s, Nelson's teams were beaten in the playoffs by either Julius Erving's Philadelphia 76ers or Larry Bird's Boston Celtics. During his coaching tenure in Dallas, the Mavericks lost twice in the playoffs to the defense-oriented San Antonio Spurs, who in turn were led by Tim Duncan. Avery Johnson, Nelson's protégé and successor in Dallas, had abandoned Nellie Ball in favor of a more traditional offensive lineup, which had reached the 2006 NBA Finals. En route to reaching the finals, Johnson's Mavericks had defeated Mike D'Antoni's Phoenix Suns, the latter using an up-tempo style centered on former Mavs superstar and 2-time NBA MVP Steve Nash. Although the Mavericks lost to the Miami Heat in the NBA Finals that year, Johnson won the 2006 NBA Coach of the Year Award for making Dallas a better defensive team while still keeping their up-tempo style of offense. Despite Nelson's inability to win a title using Nellie Ball, his formula was arguably successful at least once. The Miami Heat successfully used a variation of Nelson's approach ("positionless" as coined by Heat coach Erik Spoelstra) in the 2012 NBA Finals to defeat the Oklahoma City Thunder in five games: they used a point-forward, athleticism and small ball to create mismatches, spaced the floor for 3-point shooters, and did not use a true center. LeBron James often ran the offense and rotated with Shane Battier between the small and power forward positions, and Chris Bosh shifted from his natural power forward position to center. Battier—a constant threat from the 3-point line—forced the Thunder's Serge Ibaka to cover him at the perimeter, thus neutralizing his shot-blocking at the rim and giving more room for Heat slashers like LeBron James, Dwyane Wade, and Mario Chalmers to attack the rim. This approach also created a mismatch for Chris Bosh, whose quickness and athleticism wore down on Thunder center Kendrick Perkins, forced to guard Bosh away from the basket due to Bosh's polished mid-range game. The Heat's 3-point assault came from Chalmers, Battier, and Mike Miller, who fought injuries in the decisive fifth game and shot 7–8 from 3-point range. Final vindication was served when the Golden State Warriors, a team he had coached twice, won the 2014-2015 NBA championship. They closed out the NBA Finals against the Cleveland Cavaliers using a Nellie Ball line-up of Steph Curry, Klay Thompson, Andre Iguadola, Harrison Barnes and Draymond Green. ^ "Original point forward". hoopshype.com. Retrieved 2011-11-06. ^ "Basketball U on Swingmen". www.nba.com. Retrieved 2011-11-06. ^ a b Thompson, Marcus, II (November 2007). "Do You Still Believe?". Oakland Magazine. 4 (9). Retrieved 2008-06-01. ^ Kahn, Mike (May 29, 2008). "Defense dominating playoff basketball". Foxsports.com. Retrieved 2008-05-31. ^ "" FoxSports Southwest. March 29, 2012. ^ Zillgitt, Jeff (September 6, 2012). "Don Nelson enters Hall at 'time of my life'". hoopsworld.com. Archived from the original on November 30, 2012. This page was last edited on 28 March 2019, at 06:47 (UTC).